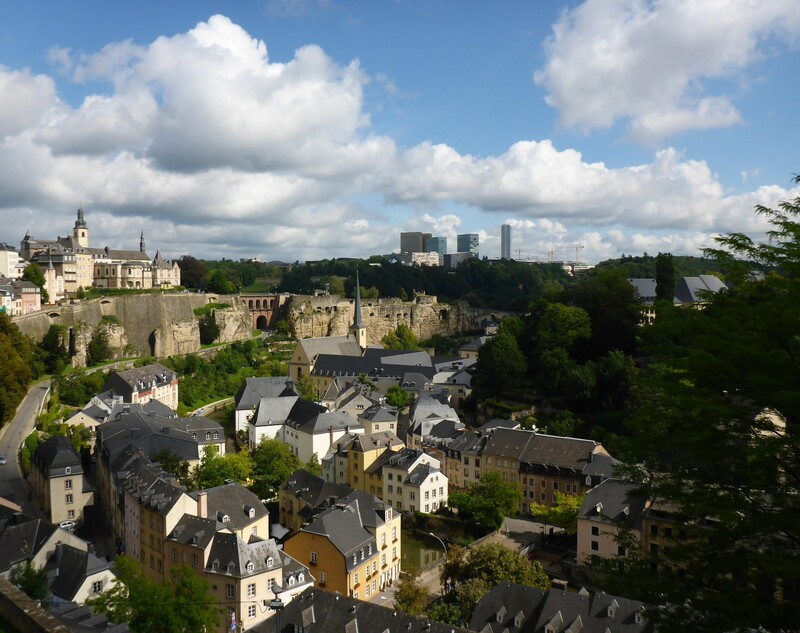 Ever wondered what you could do if you only have a short time to spend in Luxembourg? Well, here you go! 20.16 Getting lost trying to find the camping we intended to say. 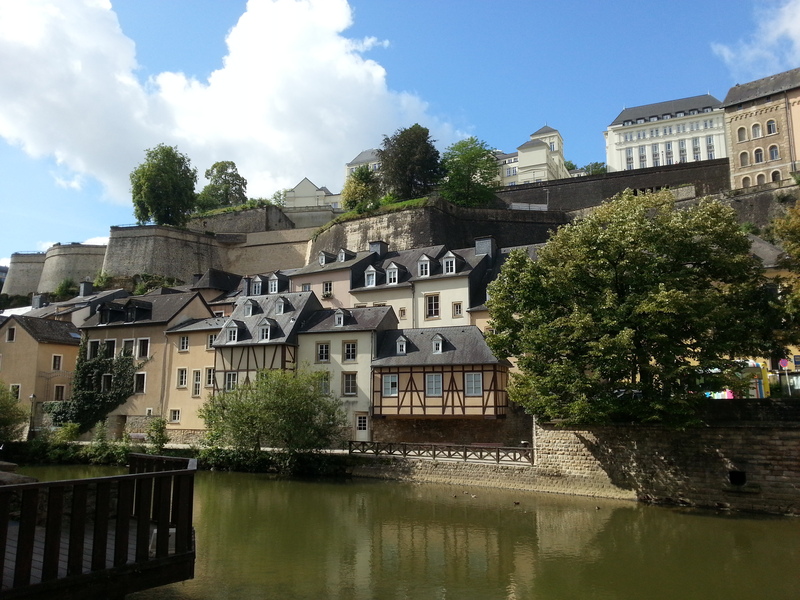 20.45 Checked in at Luxembourg Youthhostel and were very happy we ended up there. We got a four-bedded en-suite room to ourselves. 21.01 Got tips where to eat and drink (and what to drink) from the very helpful man in the reception. 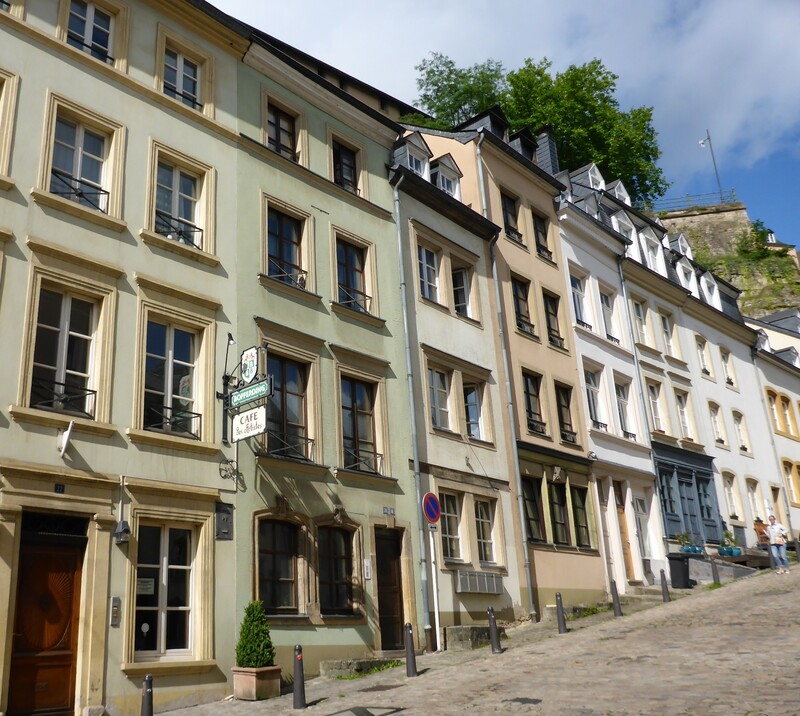 21.11 Walked up the steep pedestrian path, continuing towards the old city center. 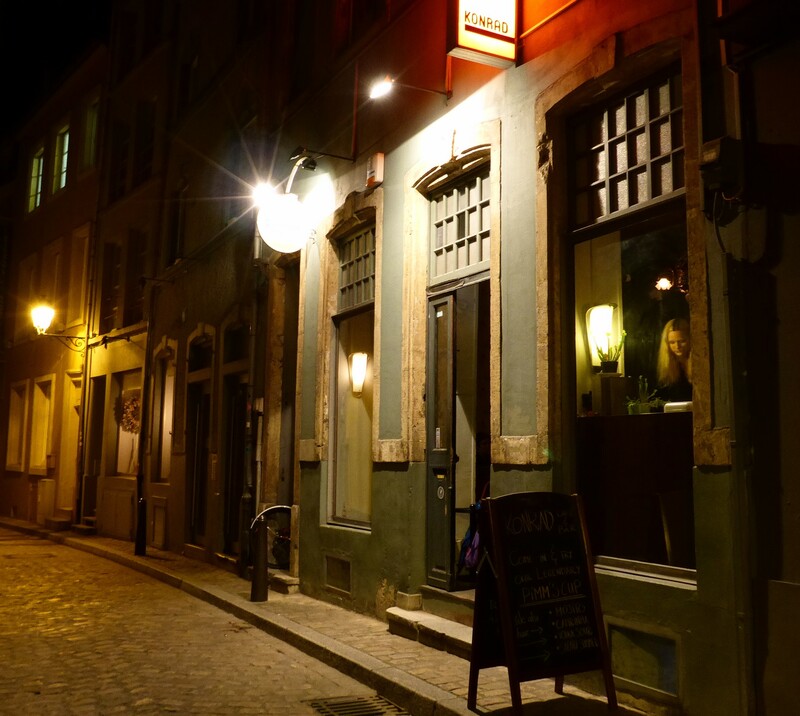 21.30 Walked a narrow back alley leading to a small square. Arrived at Am Tiirmschen restaurant just in time to order. 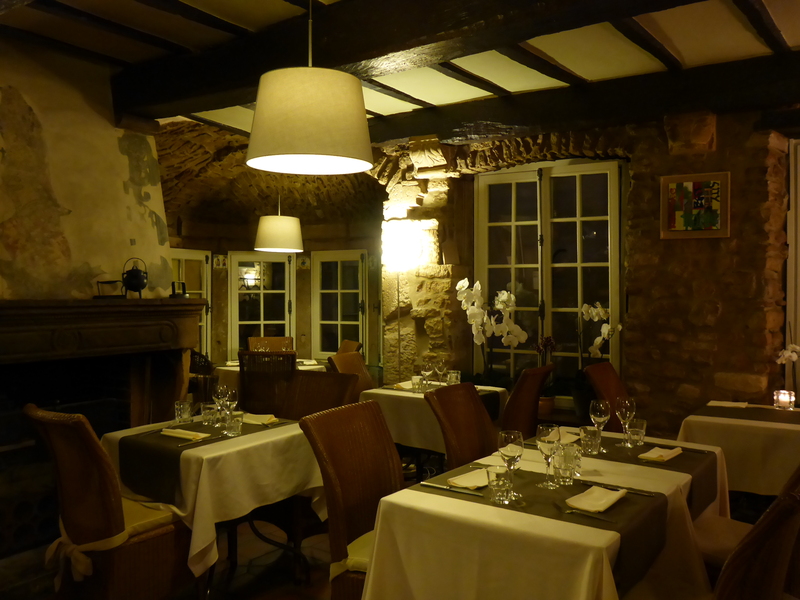 The restaurant was located in a stone building with wooden beamed ceiling, dimmed lightning and a great atmosphere. 21.38 Got the local beer Battin Blonde and the house pâté with bread served. 21.44 The local specialty for Luxembourg, Kniddele, was served. They refer to it as a kind of pasta. 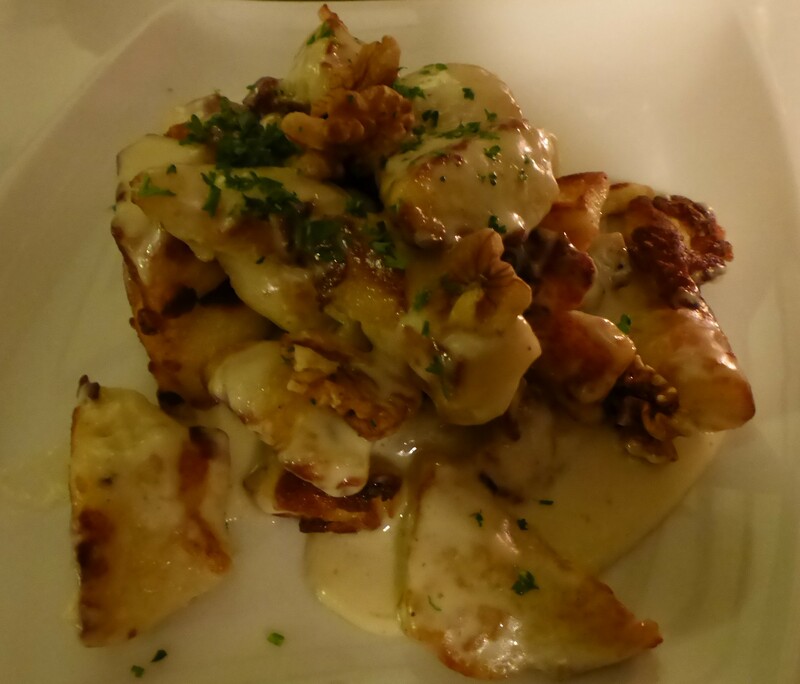 They had three types, I chose the one with roquefort and walnuts. 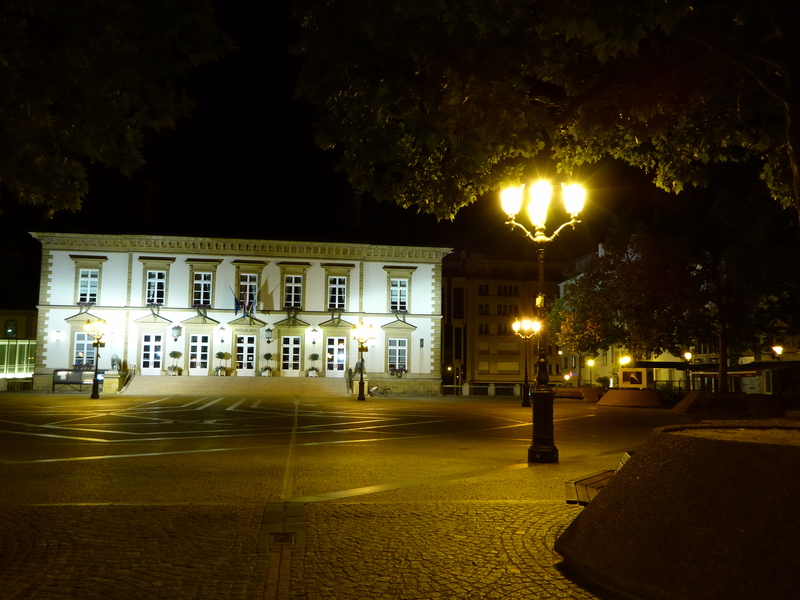 22.15 Walked around the old town, including the William Square. 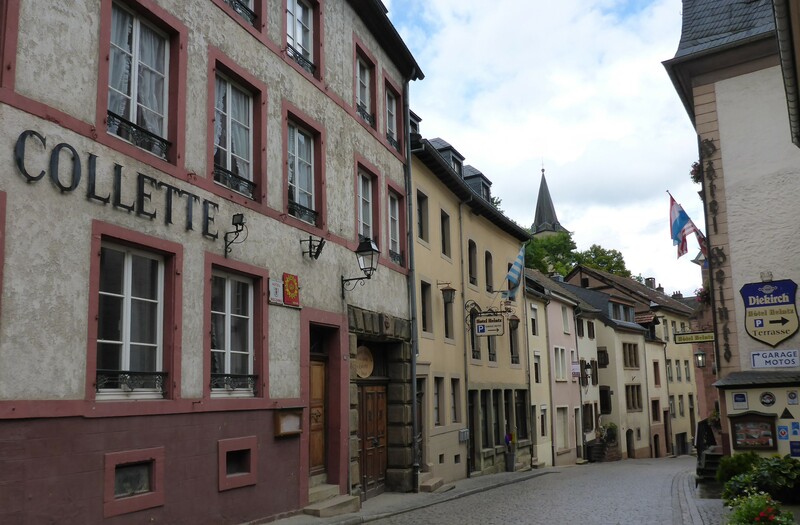 Since it was a weekday, the streets were more or less deserted, except outside the different bars that came up every now and then. 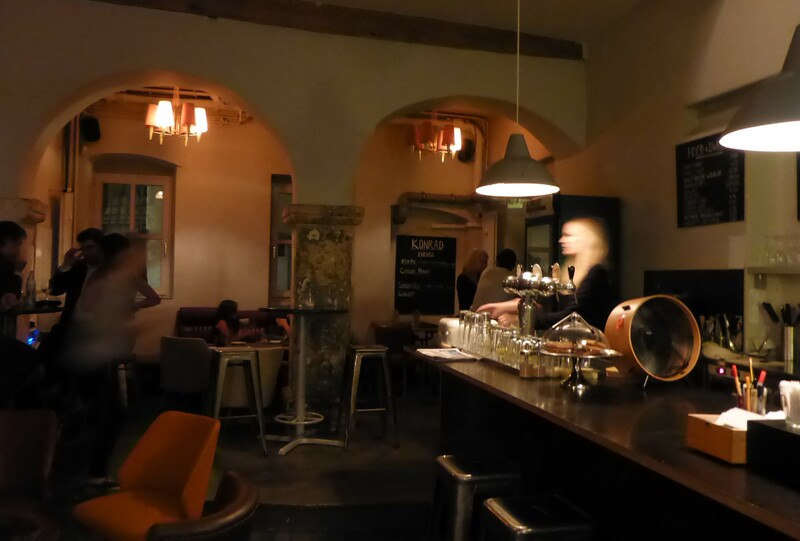 22.38 Stopped at Konrad for an Okult beer (one of the recommended). 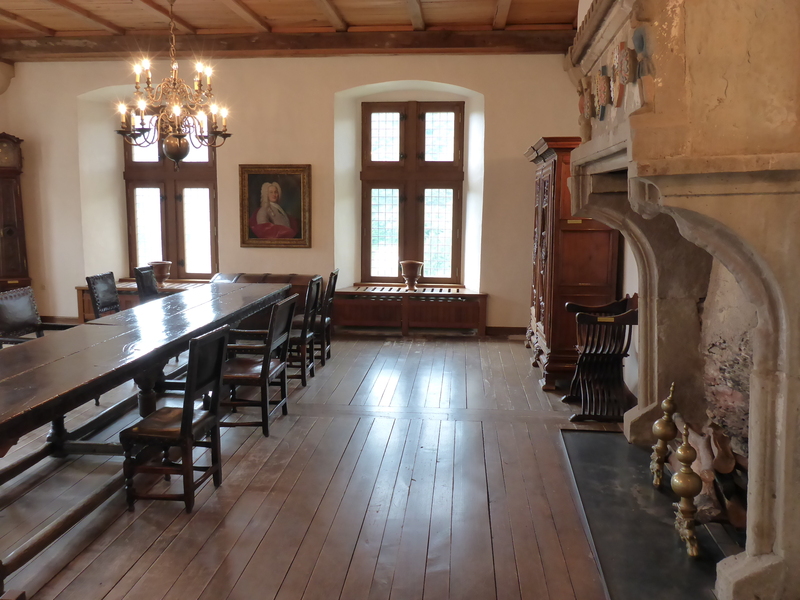 The interior was a mix of cozy old-fashioned chairs and tables, and one of the walls was papered with floral pattern. 23.25 Returned back and made some plans for the next day. 00.09 Turned off the light to get some sleep. 08.40 Woke up and went for breakfast (included). Talked to the other travelers at our table in the breakfast room. 09.19 Took a shower. Due to the low water pressure, it took a bit longer than expected. 10.02 Checked out after repacking and organizing. 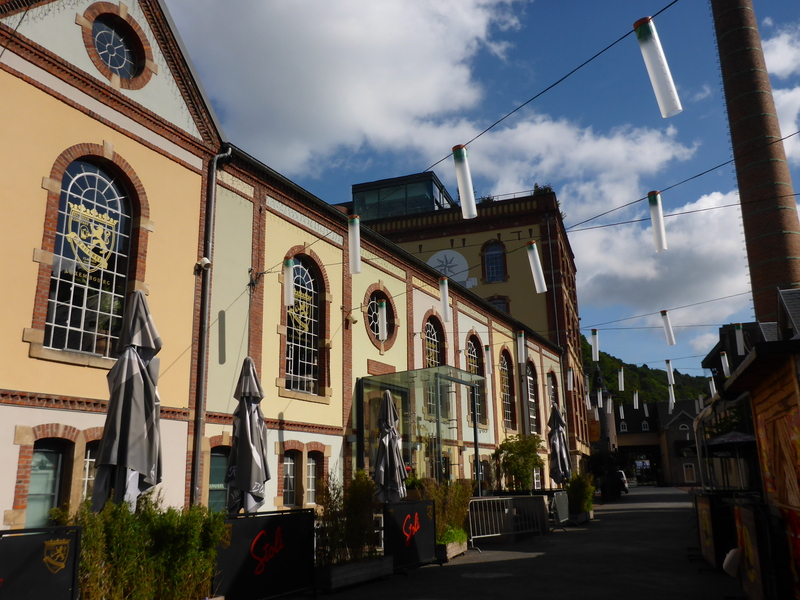 10.29 Stumbled upon the brewery in Clausen, regretting we did not see that yesterday. 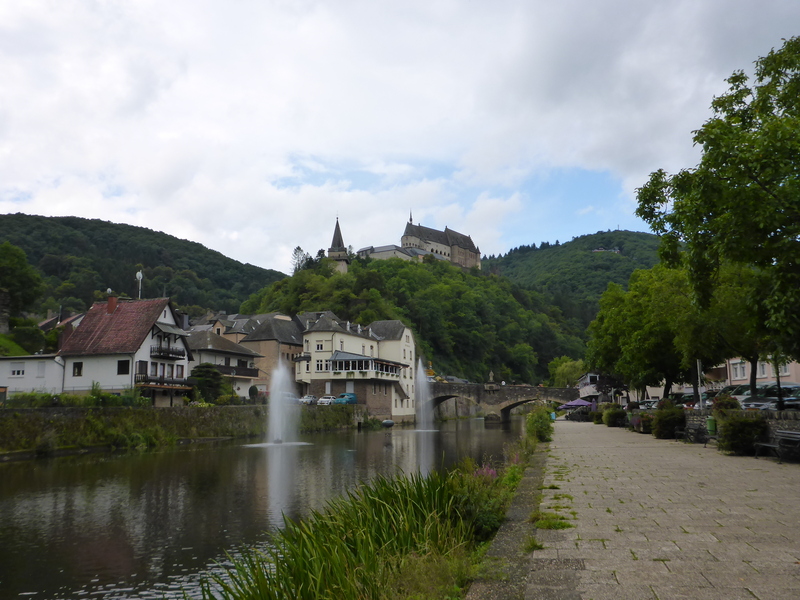 10.55 Walked passed Neumünster Abbey and Robert Krieps hall, continuing to Alzette bridge. 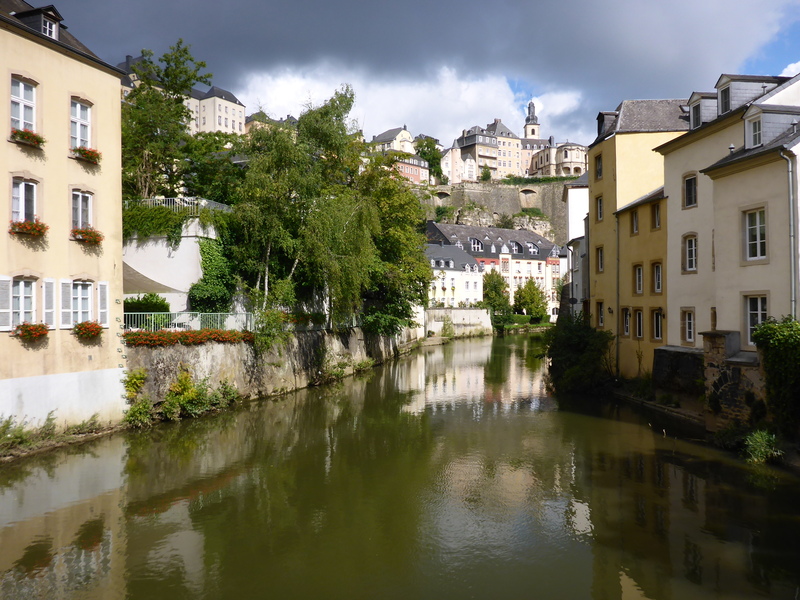 Got amazed by the beauty along river down in Grund. The lovely houses, trees and flowers were reflected on the calm water, making it even more picture perfect! Took (according to my friend too) many photos. Walked further along the river. 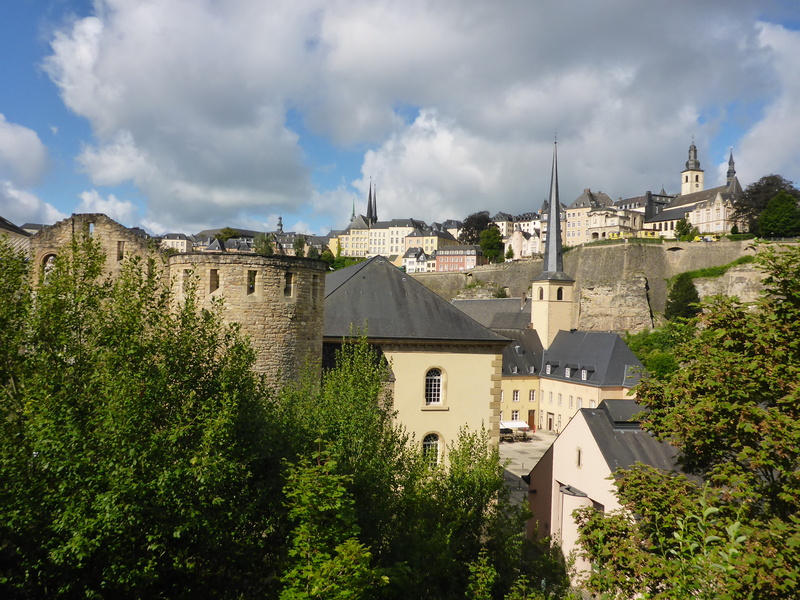 11.14 Took the elevator from Grund up to the upper town. Genius! 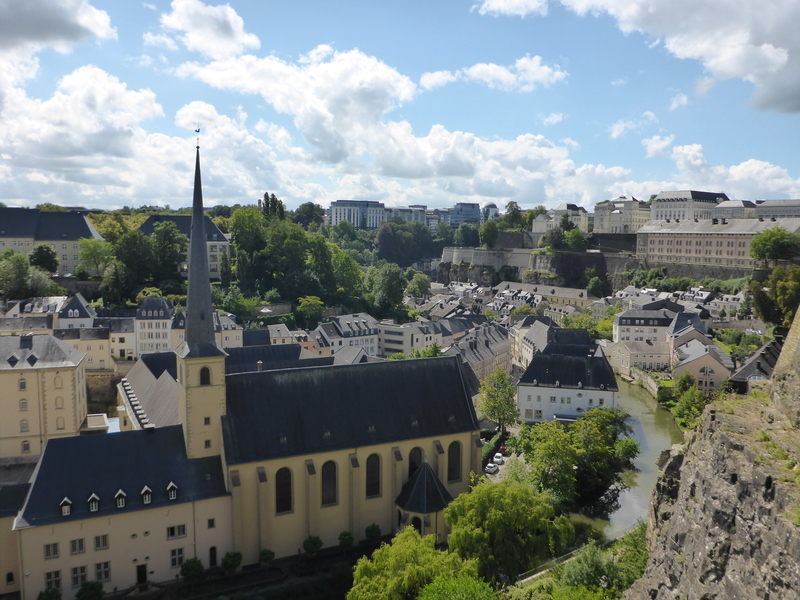 11.39 Visited the tourist information, asking for one more place to see in Luxembourg. Getting great help from a very nice and informative woman. 11.52 Making our way back to the car, including some detours. 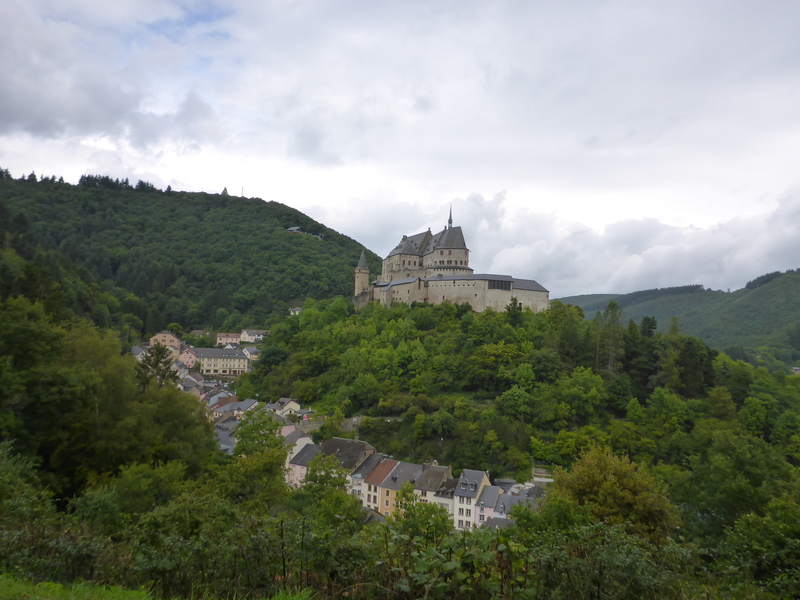 13.22 Parked the car in Vianden and walked up to the castle. 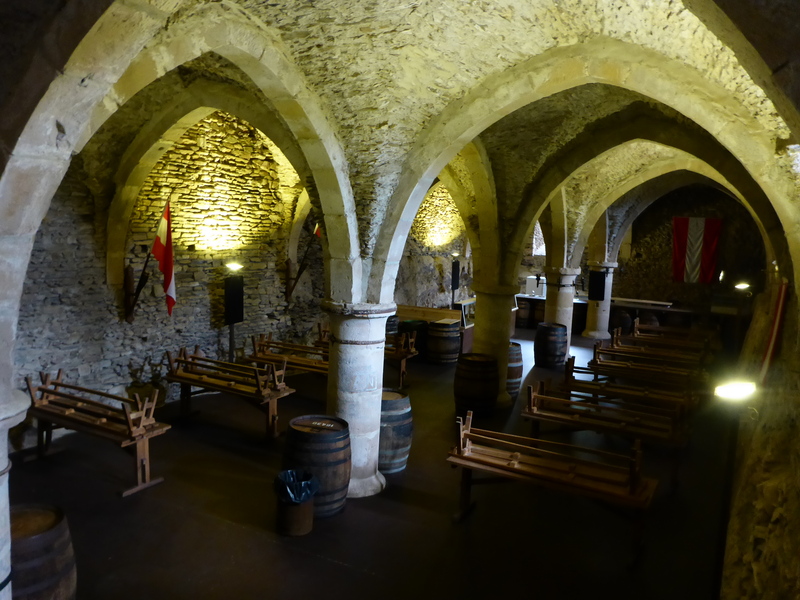 We bought a ticket and went in, but unless you have never been inside a castle before, or are especially interested in this one, the beautiful outside is enough. 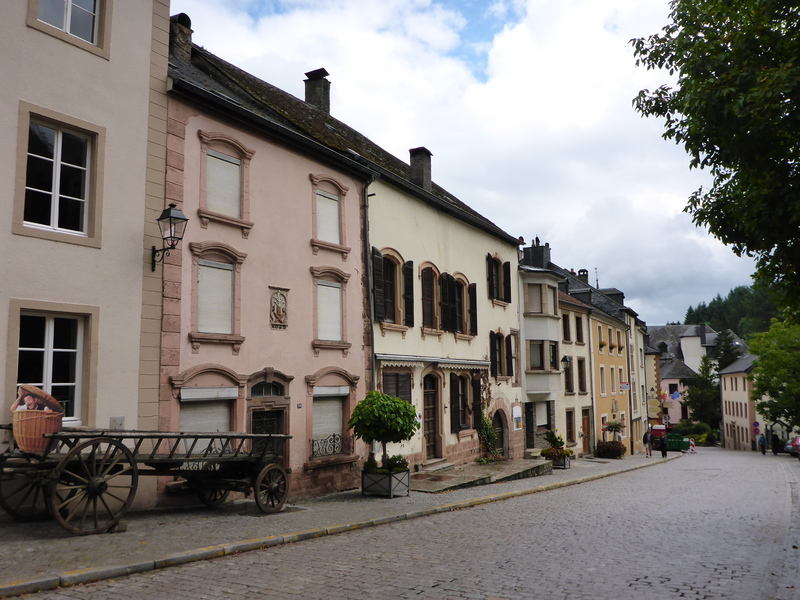 14.04 Walked down to the village with beautiful houses on both sides. Needless to say that a few photos were taken. 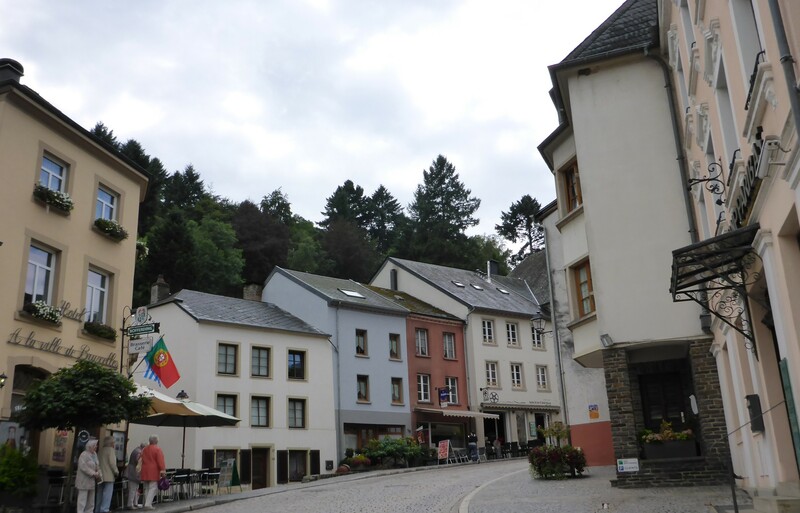 15.10 Left Vianden, absolutely happy that we did the detour. 15.58 Working our way through traffic out of Luxembourg. 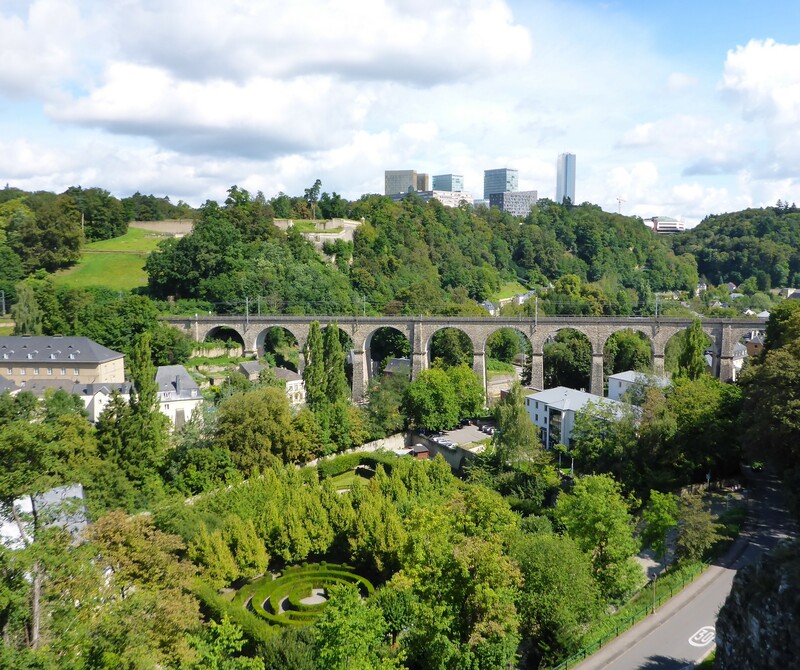 If you have more time and want to experience more, see www.visitluxembourg.com.